It's here!! 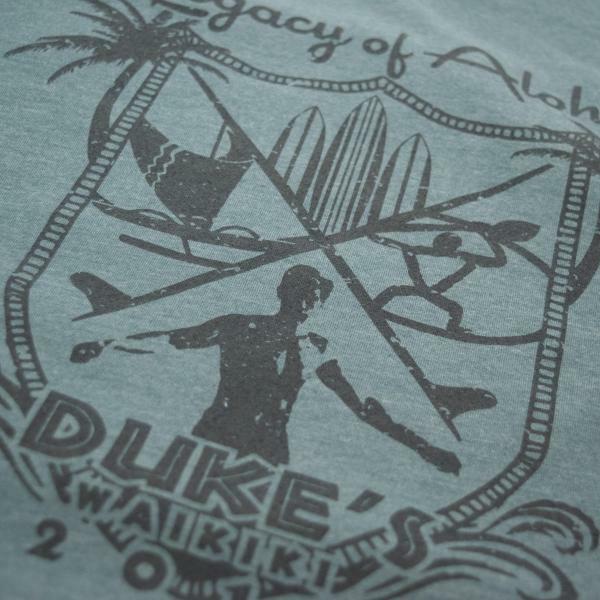 Our 2019 Legacy of Aloha tee shirt! Proceeds from this tee help to support community programs that strive to keep our Keiki and Kupuna active and safe, protect our beautiful aina and perpetuate the water sports that Duke so loved. Mahalo! 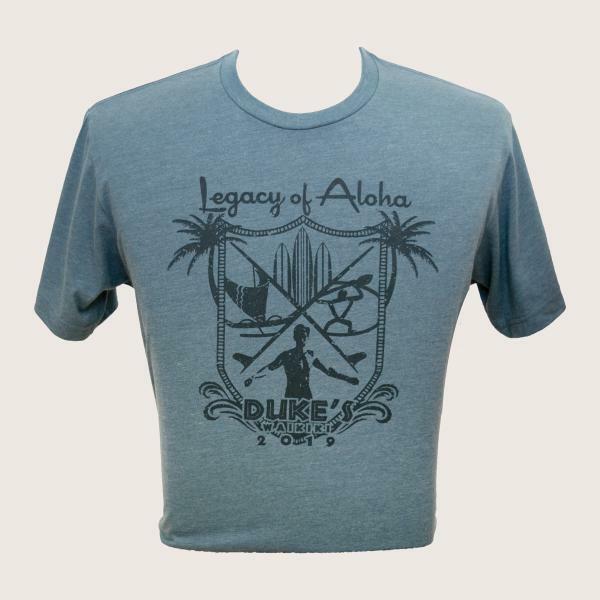 Indigo tee with charcoal ink, crest design on front. 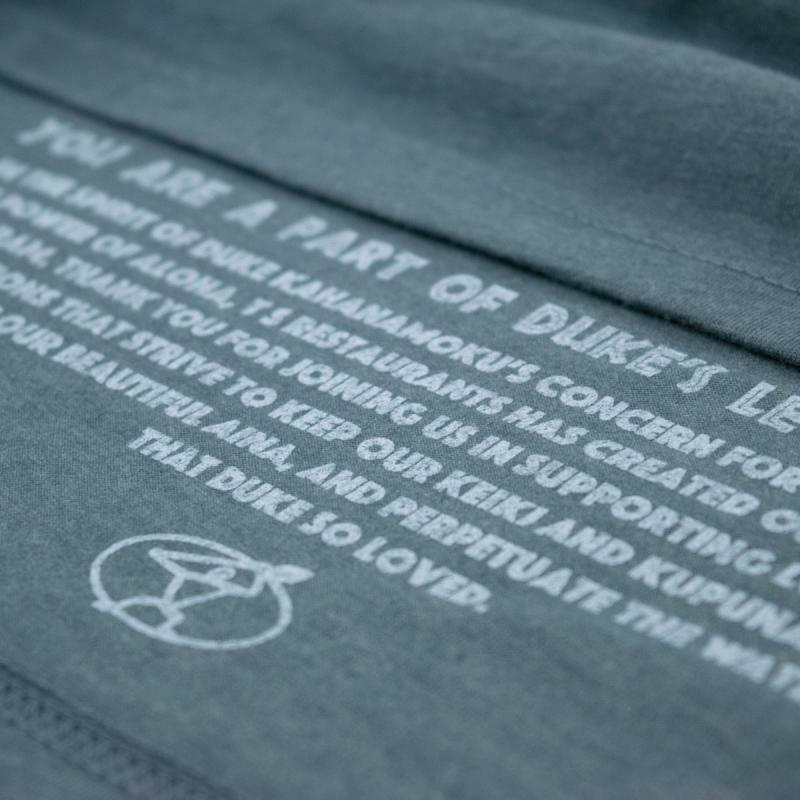 Text is printed on inside back of shirt. Available in sizes S-4XL.